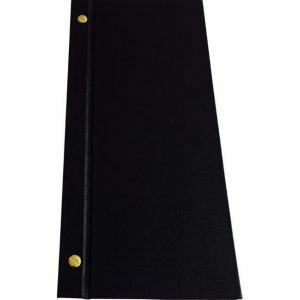 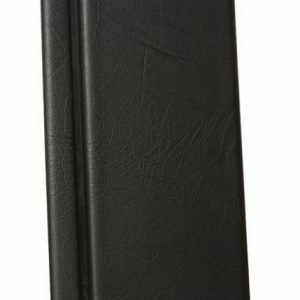 A5 BLACK Edgebound Bifold Menu Covers are super efficient for quick change menus. 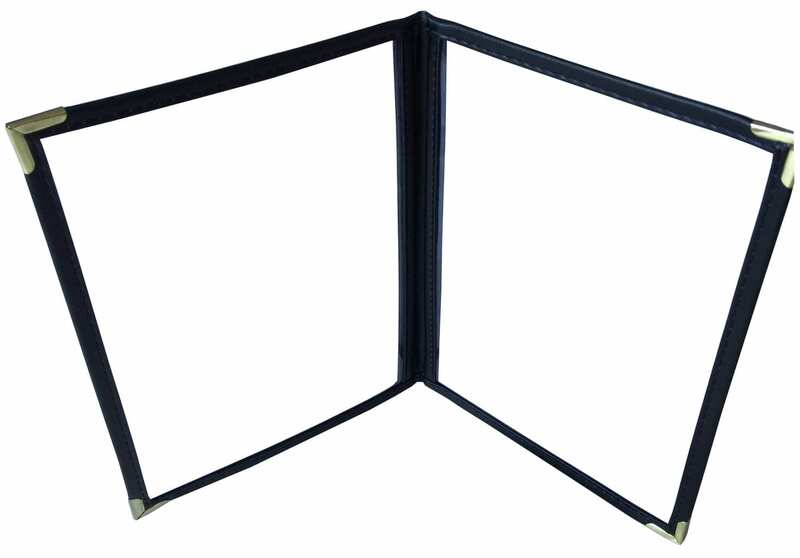 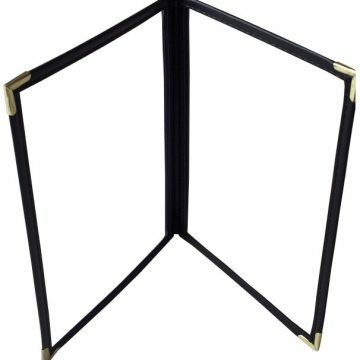 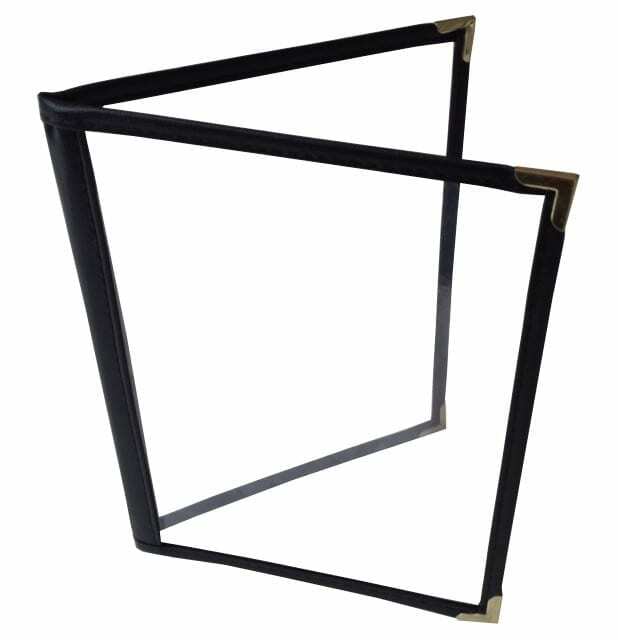 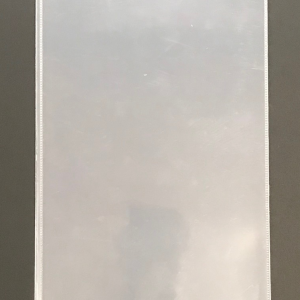 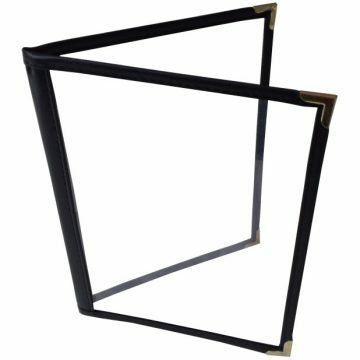 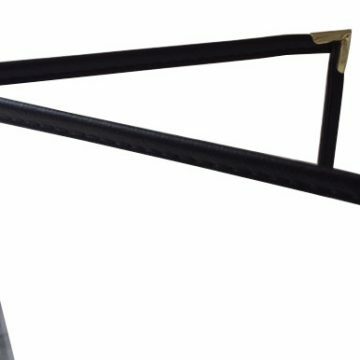 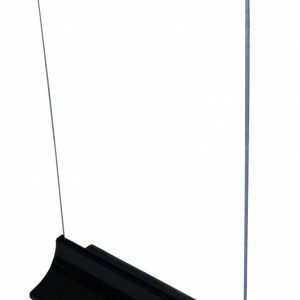 2 Panels (4 display faces) with 4 Black Metal Corners. 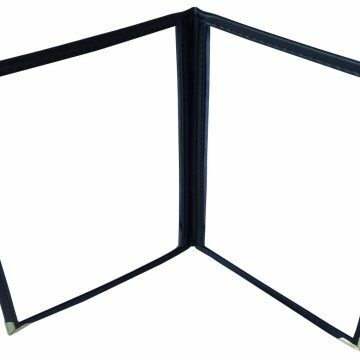 Ideal bistro or breakfast menu cover. 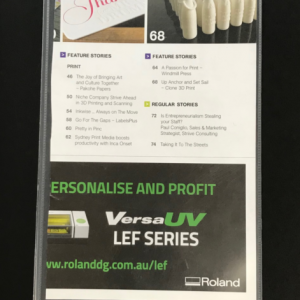 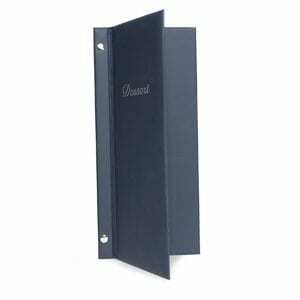 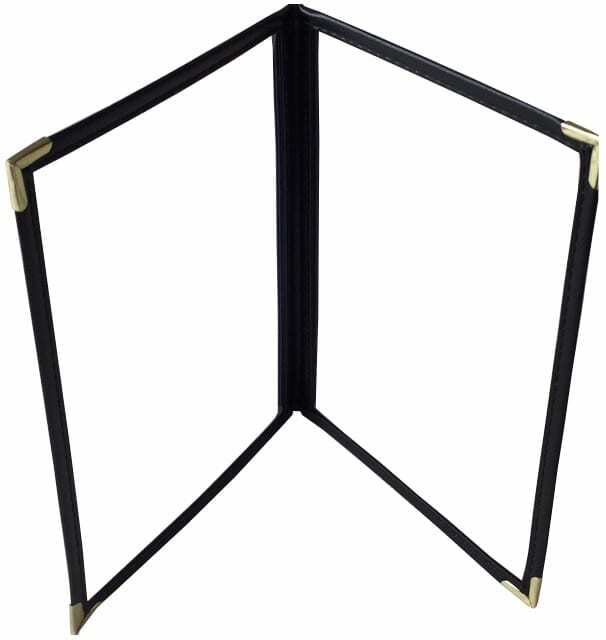 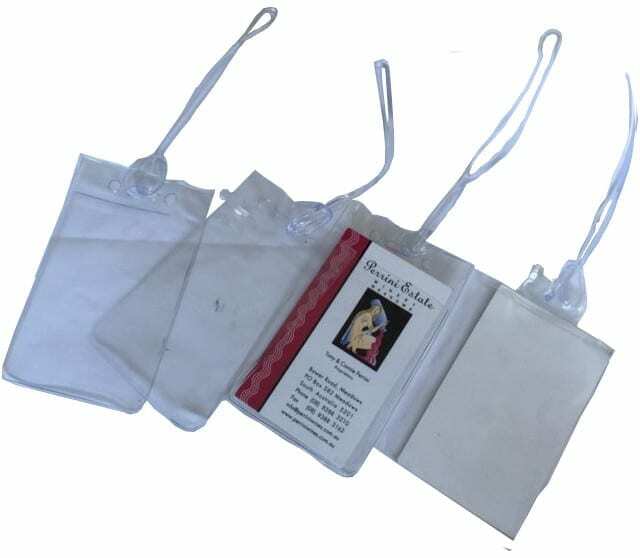 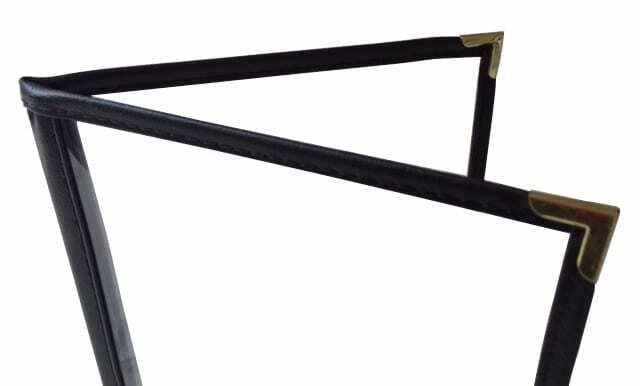 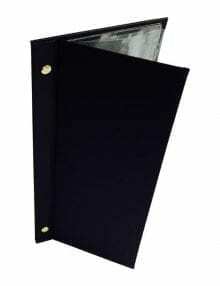 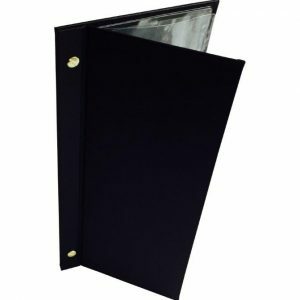 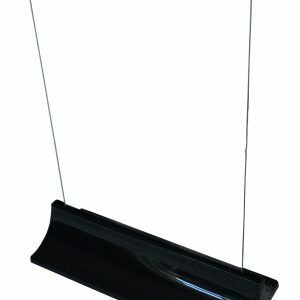 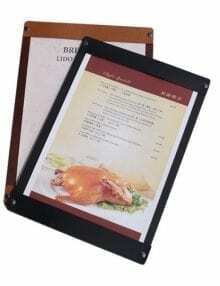 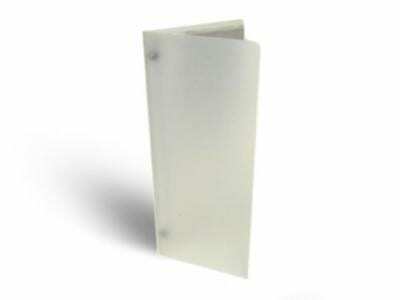 The Tough Semi Rigid PVC is bound by stitched washable cloth binding.